In the exciting follow-up to The Nebula Secret in the seven-book Explorer Academy series, Cruz, Sailor, and Emmett, along with their new ally Bryndis, embark on their first globe-trotting mission aboard the ship Orion. Cruz jumps right back into school and starts using the latest technology in submersible underwater dives, but is soon reminded of the dangers of exploration when his equipment fails and he almost drowns. Determined to keep his eyes on the prize, Cruz sneaks away to try to find answers, but unknowingly lures his friends into bigger trouble. When a friend of Cruz's mom meets an untimely end, Cruz's luck really seems about to run out and the questions multiply. What does the message mean? Where will it lead? Who is following him? And why? 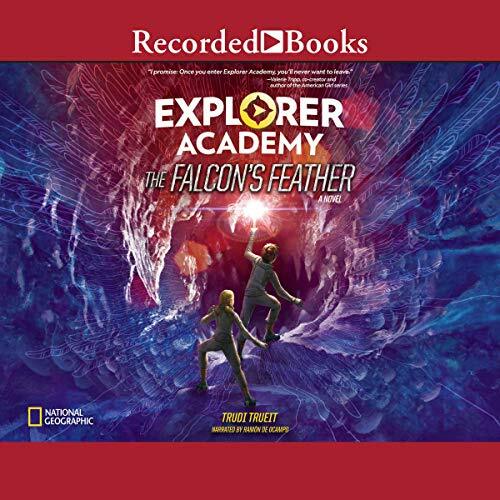 This captivating book is the sequel every Explorer Academy fan is waiting to hear!